Almost every family has the opportunity to receive free baby food for children up to two years, on artificial or mixed feeding. This saves the family budget. 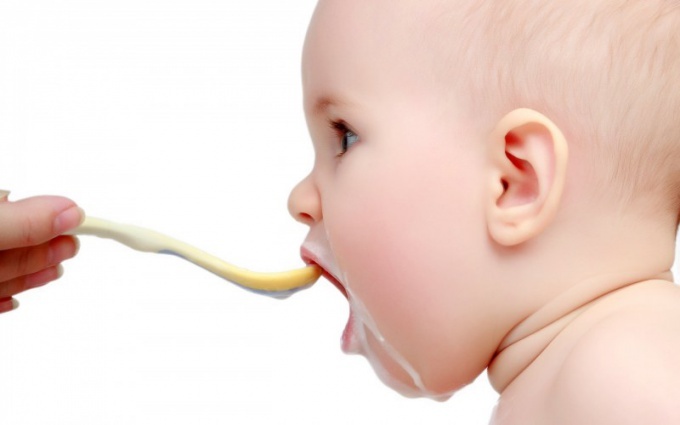 - recipe from pediatrician to receive free baby food. View legislative acts adopted for enforcement in your area to ensure families with children with free meals. Free baby food in Russia are provided to all children up to 2 years life under mixed or artificial feeding, children up to 3 years if the child's family with many children, up to 15 years of children with a chronic health condition up to 18 years children with disabilities. But in many regions of Russia, children under 2 years receive free meals, families which have an income per person less the minimum subsistence level. Each subject of the Russian Federation determines the amount of the subsistence minimum for their territory and the rules by which kids get free baby food. To consult with the local pediatrician, what benefits you are supposed to provide free baby food. It depends on your financial situation, the rules adopted in your area and whether the child is on mixed or artificial feeding. If the child is breast fed with free meals provided by the nursing mother, but each region has its own rules for obtaining the benefit. – the passport of the parent (or person in Loco parentis), certificate of birth, certificate of family composition, income of all family members, copy of work record card, if able-bodied family member not working, a copy of the certificate of divorce (if the parents ' marriage is terminated, information about the child support (paid and received written notification from the parent (or person in Loco parentis) about not receiving help for free holiday special dairy products at the place of residence. The social security authority will calculate the average monthly family income and if the income per family member is below the subsistence level, will give a certificate for providing her pediatrician. Obtained a certificate to provide local pediatrician. To free prescriptions to receive baby food. Recipes from a pediatrician is present on dairy kitchen, if your town or village this is. If not, the results is free food involved health clinics and pharmacy chains, the procedure for obtaining can be obtained from the pediatrician. In dairy kitchens you will be given your number and will be notified of the date of receipt of the supply. In many regions of Russia provide free meals to students whose families monthly income is below the subsistence minimum adopted in the region, or living in a family with one parent. If your city or region is provided, for receiving food to provide all of the above documents and the application for providing the child with a free Breakfast in the bodies of social protection of the population. Recipe for dairy food are issued for a fixed period and after the expiry of the need to get in the clinic for a new prescription. While getting food at the dairy kitchen has the recipe and the birth certificate of the child. In many constituent entities of the Russian Federation, local authorities provided assistance to families with young children in the form of baby food and dairy products. The composition of aid and the age of the children who are eligible for this assistance may differ in different cities. To gain power in the dairy kitchen find out whether the food in your town and on what terms. Typically, such information can be obtained from the Department of health. 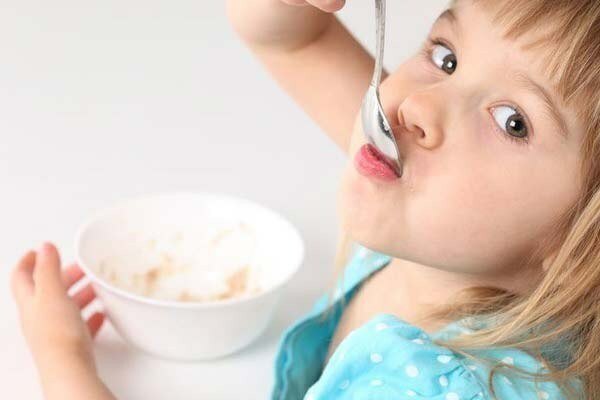 If your town provides for the issuance of nutrition on dairy kitchen, you would need to go to the pediatrician in the clinic in which you see your child. The pediatrician will write you a prescription for food for a month, which will indicate the composition and quantity of supply. Also, you will be assigned a number, which you will need to call in each time you visit the dairy kitchen. This number is recorded in the medical card of the child. Ask for a prescription to receive meals each month to the 25th. After receiving the prescription take it to the dairy kitchen, which relates to your site. Recipe taken from you. In the future each time you visit you'll call your number and get the proper nutrition. Note the mode of operation of the dairy kitchen. Usually the results the products produce early in the morning, once in two days. Often, if you only get milk, you can come once in five days. In some cases you can negotiate with pediatricians about replacing certain items in the list of products issued. For example, if your child is happy to eat cottage cheese, but whole milk allergic, ask your pediatrician whether there is a possibility to replace milk for an extra dose of cheese. It happens that the physician has the opportunity to meet you. It happens that the pediatrician refused to write a prescription for a dairy kitchen, citing the fact that the child is breastfed. Such a right the physician has no nutrition food is necessary to all children without exception. Also, the pediatrician has no right to refuse a prescription because of lack of vaccinations or tests. If you have any such situation with your pediatrician, consult a physician clinic. On the dairy kitchen you have to go often, but it is not always convenient. If you have friends mom is also using the services of dairy food, it is possible to cooperate with them in obtaining products. Usually the kitchen staff don't mind. The appearance of the baby in the family, is not only a welcome joy, but also the desire to give him all the best. Proper nutrition from the first days of life is the key to the future health of the little man. To provide each child an appropriate and balanced for his age with food, are called special milk-distributing points. - children up to 18 years if the child has decorated a disability. In many regions free meals to children up to two years issued only to poor families, therefore, must have the income certificate of the family. To get a prescription for infant food. It is necessary to visit the district children's clinic pediatrician. He must issue a certificate that allows you to get free kids meals at the dairy kitchen. In this reference, the recipe will specify the permitted amount of free meals: the product name and quantity, which will be handed at each visit. The prescription is usually issued for a specified period (depending on category of benefits and the age of the child). Therefore, when the end of the period of validity of the certificate, it will need to again. For design recipe for all special categories of children (in addition to the age of two years) must provide proof of benefits: a certificate of disability or proof that the child from a large family. Such documents are issued in the bodies of social protection of the population. Help for dairy food must have the signature of pediatrician, issuing, signature of the head of the pediatric clinic and the stamp of the clinic. Signature of the head you can get by or leave to the nurse the help that she gave to sign. Then at the reception children's clinic for the prescription is stamped. Find out the location of the milk-distributing point. Each address assigned to a specific branch of children's dairy kitchen, to clarify the location and time available at the registration Desk of the children's clinic. Typically, the operation of the institution issuing free children's meals, installed from 6.30 to 10.00 h local time. Obtained from the pediatrician recipe should be attributed to dairy-distributing point, where it registers, assigns room and tell which days will be given food. I will have to come to appointed days to sign and get the products for the baby. The best food for infants is mother's milk. If it is not enough, you have to start to enter the mix. For such children receive supplementary feeding for the dairy kitchen. Dairy-distributing points give power to different categories of citizens, for example, to execute the documents. 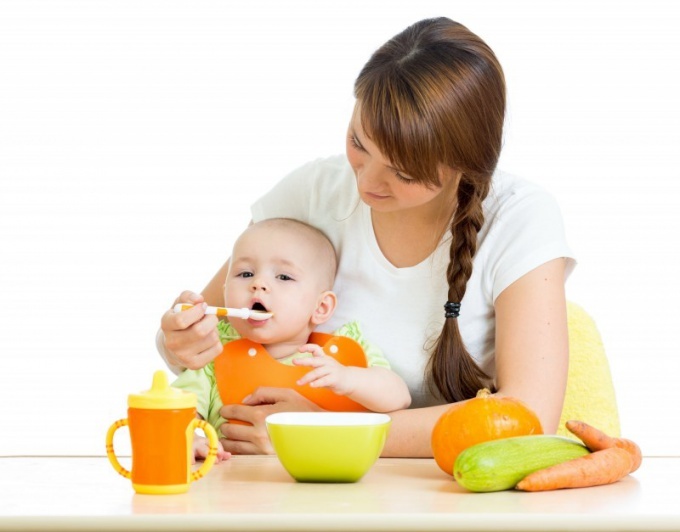 - note from pediatrician that the child needs additional food. - pregnant women from 16 weeks of pregnancy or breastfeeding (if the reference from female consultation from the pediatrician). Gather all required documents and copies of documents (birth certificate and copy of certificate of income of all working family members for the last three months, the mother's passport and a copy of the policy of the child and a copy edit from a pediatrician that the child needs additional food, check the mother's and the child's place of actual stay period more than 1 year or a certificate from the housing authorities on registration). Contact the health authorities for setting you on the account. Starting next month, you have the right to food. Write a pediatrician at children's clinic recipes for dairy cuisine with an indication of the type of food and quantity for a month. Your choice will be offered several options of baby food. Selecting it, you will not be able to change it for six months. If you are only going to become a mother, you are also entitled to additional meals at the dairy kitchen. You need to take help in the antenatal clinic that you are registered and submitted to the health authorities for setting you on the account. You still need to provide your passport and a copy of certificate of income of all working family members for the last three months, help from the housing authorities on registration. Received certificate that you are supposed to, additional meals, you should include at the point of delivery of power at your residence. To obtain monthly. Food is only issued on the following month after submission, so make it immediately. Providing young children free products is regulated by local authorities. Each region has its own rules for obtaining free baby food, and laws regulating the number of issued products, particularly dairy products. At the first reception of the baby by a paediatrician and parents have to offer the recipe for dairy-distributing point. Similar points exist throughout Russia and in everyday life are called simply "milk kitchen". However, all regions put their own conditions on the results of dairy products. The right to receive products on a milk-distributing points have all kids. It does not depend on the health of the baby, or method of feeding or any other medical indications. If when you visit the children's clinic the doctor is not offering you to write such a prescription, then be sure to raise this question for yourself. When the doctor refuses, you can apply to the superior staff of the clinic or the health Department. In Moscow, for example, baby food is given to all children who have permanent or temporary registration from the moment of birth to two years. The results are changed every 2 days strictly on prescription. It is obligatory to receive a new prescription from the pediatrician every month to the 20th day. The range issued to a milk-distributing points products depends on the age of the child and usually varies up to six months after. Children birth to years of life at the dairy kitchen have to give the dry and milk mixture. Metropolitan laws baby under 6 months, put the dry and milk mixture. Moreover, the dry mixture is issued for a time less milk and more. In the first month of a child's life you can get 6 bags of dry and 1 pack of dairy mixes a day, from 2 to 4 month – 5 dry and 2 of sour milk, 5 to 6 – 3 dry and 2 of sour milk. After six months, the number of issued quantity of dry mixture is reduced to 2 sachets per day since 8 months, and milk – up to 1, since 7 months. With six months give a different milk formula for babies older. Since 5-7 months, in addition to these products, you can also get milk, cheese and yogurt. All of these baby milk products are issued by 1 package or container in a day. 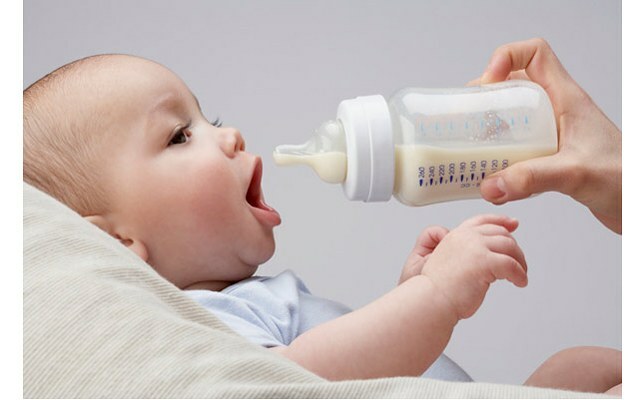 Since 5-7 months, issued by the dairy kitchen products milk, cheese and yogurt, which can be received until the child reaches two years of age. After a year it is possible to obtain on dairy kitchens only milk, yogurt and cottage cheese. The results of the mixtures were terminated when the child reaches the age of 12 months. Most families with young children know the concept of "dairy food", but not all possess the necessary knowledge about what documents are required to receive free meals. Also it will be useful to know which set on children of different ages, is it possible to replace a part of food products in certain indications. - 18 - disabled children. Recipe to receive food issued by a district pediatrician within a period not later than the 25th day of each month. Before the age of two, no additional documents, except those in the children's consultation are required. Parents write a letter to receive food, indicating age. Such statements are written in the following periods: newborn, 6 months, a year, two, three. If you need to change the table by age or by special physician statements will have to write more often. After 3 years you must pass a reference to the social protection of confirming the status of a "poor family". Children of this age on set, including milk (600 ml), yogurt (600 ml) and curd (50 g). Can use curd with fruit additives. However, food is not the same everywhere. The diet described above applies to residents of Moscow. In each separate subject of the Russian Federation establishes its own rules for obtaining a milk supply. If the city administration of funds, dairy food expands. For example, the kit may contain fruit juices, children's yogurt, yogurt, cheese, cereal. In some cities, food is given only yogurt (as it was in Soviet times). In others, at the place of registration of the child, the mother receives a card, as the sum of 20 thousand rubles. To dispose of the money it can up to 1.5 years, paying for the nutrition at the dairy kitchen. In this case, the diet is determined not only by the testimony of the pediatrician, but also a personal desire of parents. The law provides the possibility of obtaining a prescription on the dairy kitchen not only the place of registration but at the place of actual residence. For this, you need to contact the point of delivery, assigned to the place of residence and apply for inclusion of your child in a list. Families with low income are entitled to free food for baby up to 2 years. It is necessary to give social services a number of necessary documents. 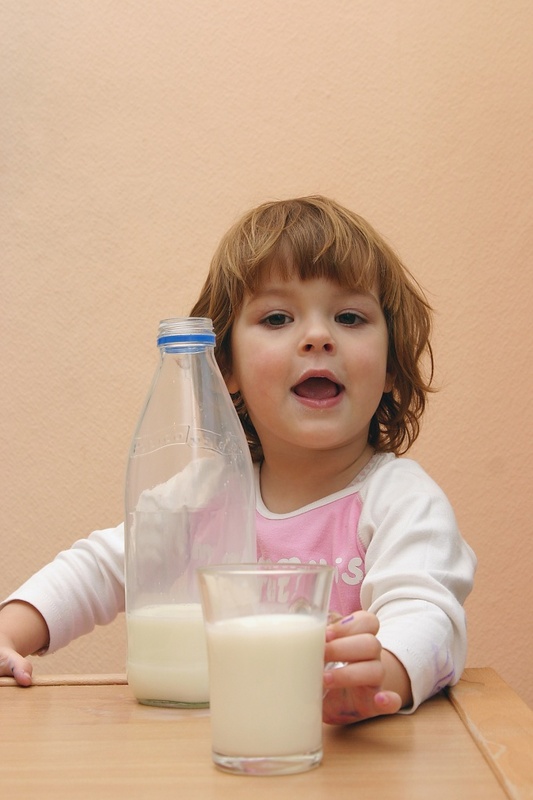 To get free dairy products for kid collect the necessary documents. Prepare in advance a passport of all family members, birth certificates of children and the documents confirming your marital status. If you are married, bring a certificate of his custody. If at the time of application for free meals you are divorced, give the specialists of social service paper on divorce. Please contact the accounting Department at the place of work to obtain the income statement for the 3 months that precede the month of treatment. The same information must provide a spouse. When there is evidence of divorce you need to provide documents confirming the amount of alimony payments. If the head of household is not working, it needs to stand on the labour exchange or to provide proof of his disability. Make sure to be able to justify a temporary lack of work. Otherwise, representatives of social services denied a certificate, giving the opportunity to receive free food. Find out where you can get help on the purpose of free food. Often such documents issued to the Committee for the protection of motherhood and childhood. In some regions they give in one stop shop. After receiving help, contact your pediatrician. The doctor will issue a prescription for supply in accordance with the age and needs of the baby. Children after 1 year of life, as a rule, do not write the formula and replace it with cereals. The recipe on the appointment of the power contact point of delivery of dry milk mixes and gruels. As a rule, they are located in the children's clinic at the place of residence. If you experience any problems with receiving power, refer to the owner of the clinic. 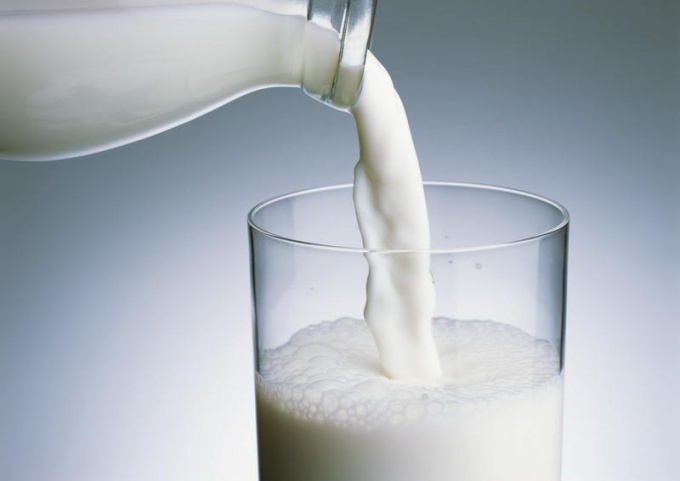 That is the main doctors authorized to decide all issues related to the results of dry milk products, since it is through the medical establishment which they run. Entitled to free meals you will have to prove every 3 months. 3 months after treatment in the social services take care to provide specialists with information on income for the past period. Before the initial application for certificate of appointment of power go to social services and find out what documents you need to provide only the original, but with no need to make copies. In accordance with the applicable laws, the parents, if their family is recognized as poor are eligible to receive free meals for kids under the age of 2 years. 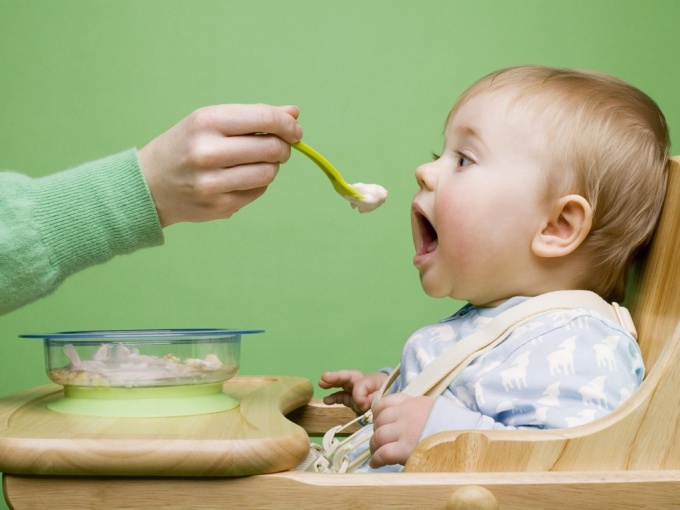 To obtain free food for baby under 2 years of age, you should prepare all necessary documents, and then already to address to the appropriate service. The social worker will need to examine all of the supplied paper, and on this basis to issue a certificate stating that your family is in need receive free meals on the child. You will need passports for all family members and proof of kinship. These include birth certificates of children, proof of the marriage. If at the time of filing your marriage annulled, you must provide the original certificate of divorce. Be sure to take an extract from the personal account or a certificate of family composition, which can give professionals the management company. If the documents will indicate that you are living together with parents or other close relatives, you will need to write a statement about what you do with them have a separated household. This is necessary in those cases, if you do not wish to have their income taken into account in the assessment of your financial situation. Be sure to prepare salary certificates of all employed family members. You can get them in the accounting Department. Remember that accounting is required for all types of income : earned income allowance and maternity leave, pension transfers and child support. Provide specialist social services copy of work record, certified by the employers. If one of family members not running for a good cause, he must be the original work book. Together with income statements provide specialist copies of employment record books certified by the employers. If one of family members not running for a good cause, he must provide an original of the work book and certificate from the labour exchange. If able-bodied family member not working without good reason and thus is not registered for unemployment, the results of nutrition may be denied. After receiving a certificate of the established sample, contact your pediatrician, who must write a prescription for free supply with indication of its number. With this recipe please contact the point of delivery of dry milk products, located at the children's clinic. Please note that in most institutions the issue of power is performed only on certain days of the week. Simultaneously with the submission of documents for issuance of free meals apply to other types of benefits that are put to you. The help that your family need to receive free kids meals for 3 months. After this time, contact social services again.